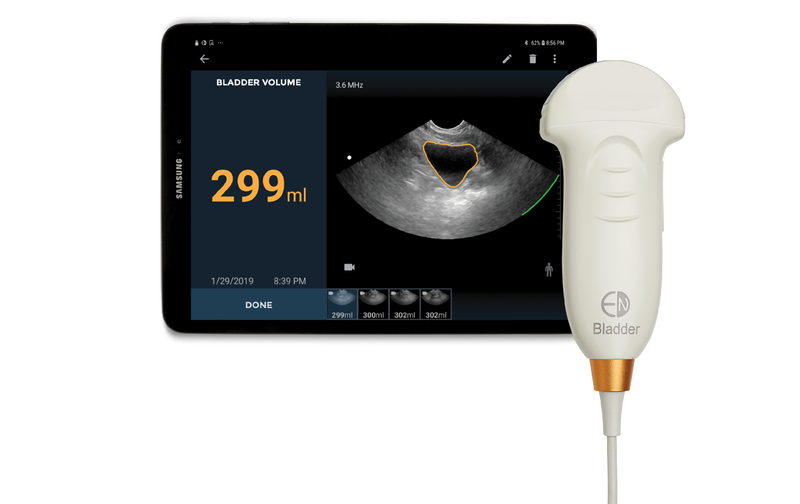 Pending FDA 510k clearance, new vein finding tool will enable first ever multi-function nursing platform alongside AI-driven bladder tool. 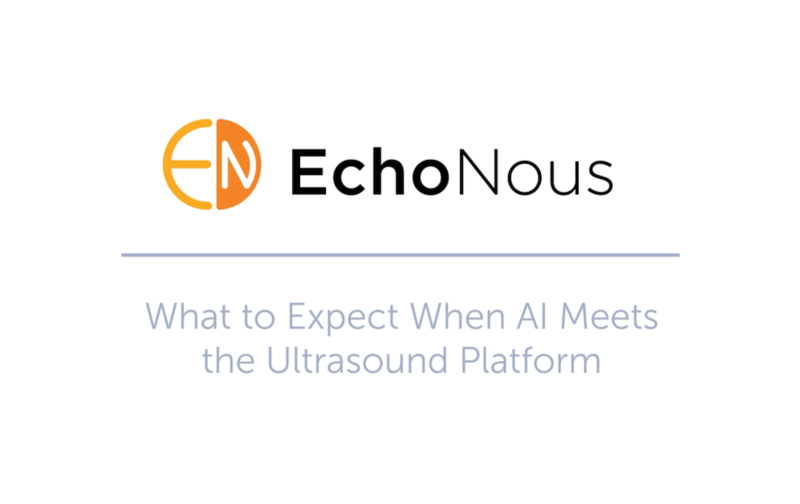 EchoNous, a developer of intelligent medical tools and the parent company of Signostics, is applying the emerging field of artificial intelligence (AI) with the extreme miniaturization of ultrasound to solve common everyday problems in health care. 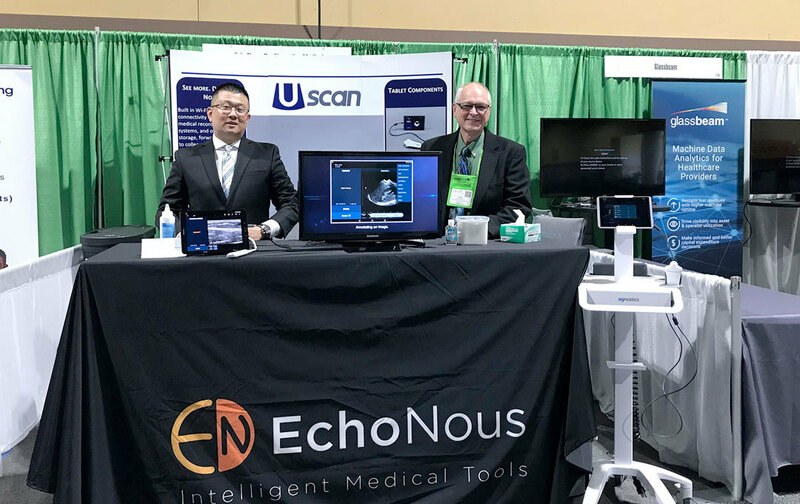 During the Association for the Advancement of Medical Instrumentation (AAMI) 2018 Conference & Expo, June 1-4 in Long Beach, EchoNous-Signostics will be providing biomedical engineers and managers (biomeds) hands-on demonstrations of the EchoNous Vein1– a new, best-in-class tool designed to improve first-time peripheral IV (PIV) placement – and Uscan – the industry’s first AI-driven bladder tool. The soon-to-be released EchoNous Vein is designed specifically for nurses inserting peripheral IV catheters by providing an immediate and clear image of veins using just two-button controls. The easy-to-use device also includes optimized settings for use with adults and pediatrics. The device comes with EchoNous’ standard 5-year, “no fine print” product warranty and customer service, providing the industry’s lowest cost of ownership. More information on EchoNous’ approach to product maintenance and customer service is available in the short video The Medical Device Service & Repair Run Around. Biomeds attending the AAMI 2018 are invited to learn more about the EchoNous Vein by visiting Booth #168 during the conference. 1This device is currently 510(k) pending. The information contained herein is provided for informational purposes only. The device is not for sale and we are not currently accepting any orders. Headquartered in Seattle, Washington, EchoNous, a KKR portfolio company and parent company of Signostics, is developing an expanding family of intelligent medical tools to help healthcare professionals solve common everyday problems in healthcare. Beginning with the soon-to-be released EchoNous Vein vascular access tool (pending FDA approval) and the Uscan intelligent bladder scanner, EchoNous is applying a layer of artificial intelligence methods with the extreme miniaturized ultrasound technology to provide nurses, doctors and clinicians with high-quality, easy-to-use tools simplifying the task at hand. 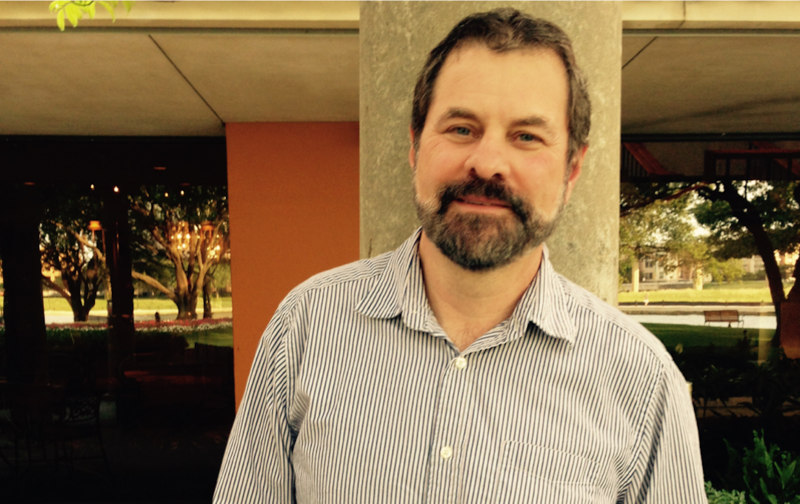 CEO and industry innovator Kevin Goodwin along with COO Niko Pagoulatos, Ph.D., a prolific engineering innovator, together direct the company based on decades of successful experience and new category creation in the ultrasound industry. For more information, visit www.echonous.com. Signostics Inc. is a wholly owned subsidiary of EchoNous, a Delaware-based corporation. Signostics is applying emerging fields of artificial intelligence, including deep and machine learning, with the extreme miniaturization of ultrasound to solve common everyday problems in health care. The company’s Uscan device simply and precisely measures bladder volume and bladder wall thickness, saving time and money and leading to improved patient satisfaction. Signostics has regulatory approvals in the U.S., Australia, Canada, Europe, Singapore and Japan, and exports to countries around the world. For more information, visit www.signosticsmedical.com. ©2019 EchoNous, Inc. All Rights Reserved.